24/7: Part 3 of 3 - Written by MARK WAID. Pencils by Barry Kitson & Mike McKone, inks by Mark Morales & Andy Lanning. 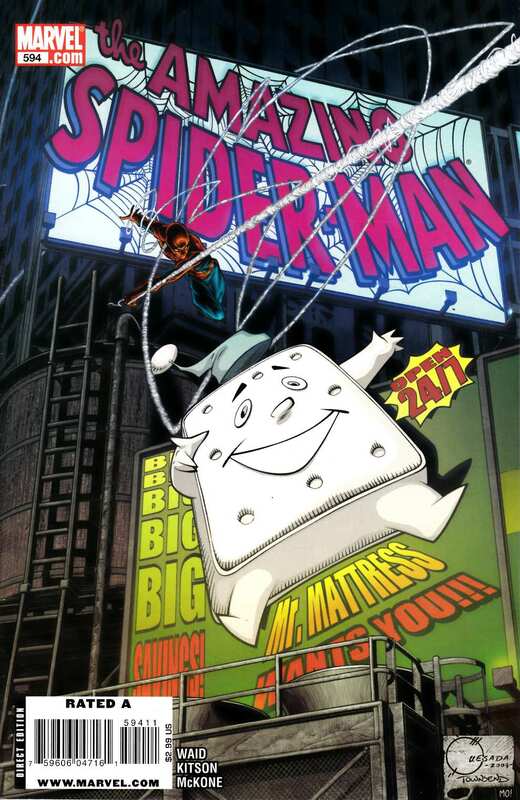 Cover by JOE QUESADA. Hunted as never before by a newly empowered J. Jonah Jameson--and you won't believe JJJ's new base of operations! - Spider-Man can't find peace privately or in public! It's time Spidey faced up to the truth behind his 24/7 mission - before it kills him!